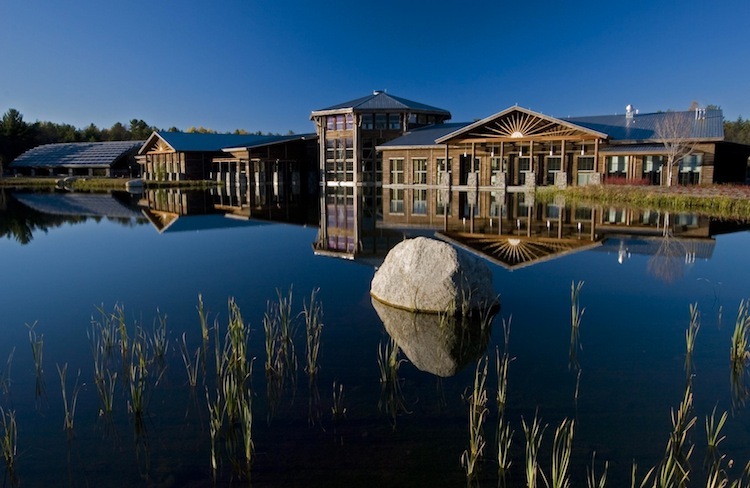 One of the main attractions for Fish Creek campers in the area is The Wild Center, a natural history museum of the Adirondacks located in Tupper Lake, just 15 minutes south of Fish Creek. 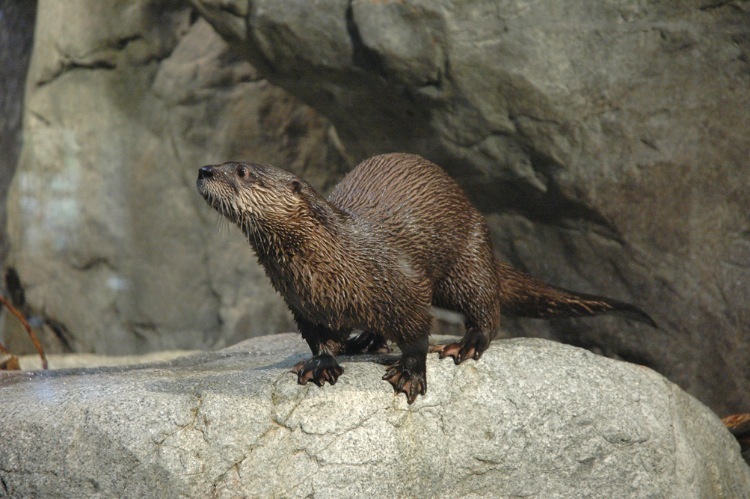 The museum features live exhibits and live animals, including river otters, birds, amphibians and fish. There is an indoor waterfall and river, towering glacial ice wall, high-definition films, and wide-screen theater on 31 acre trail-filled campus. The new museum mixes up the indoors and outdoors. There are waterfalls inside, and exhibit labels in the woods outside. 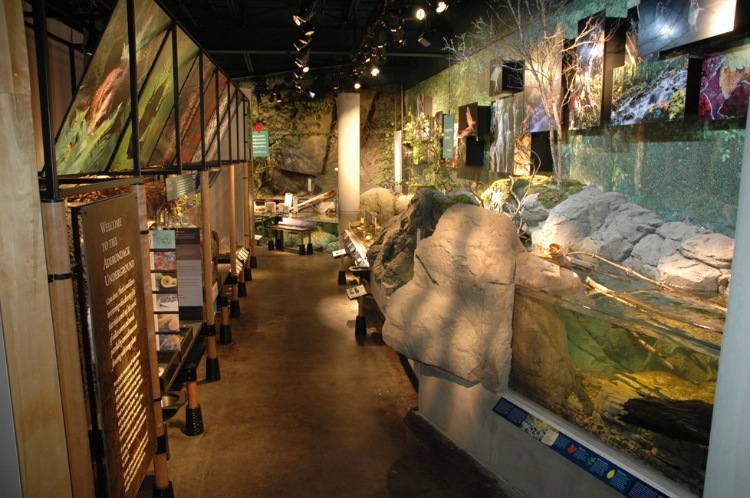 Indoors a marsh appears to flow into a real pond that laps at the outside of the building, and the calls of live owls and otters mix with the splashing cascade of a trout-filled indoor stream. High definition films explore the region and showcase fascinating reports from field scientists researching everything from moose to loons to alpine summits. 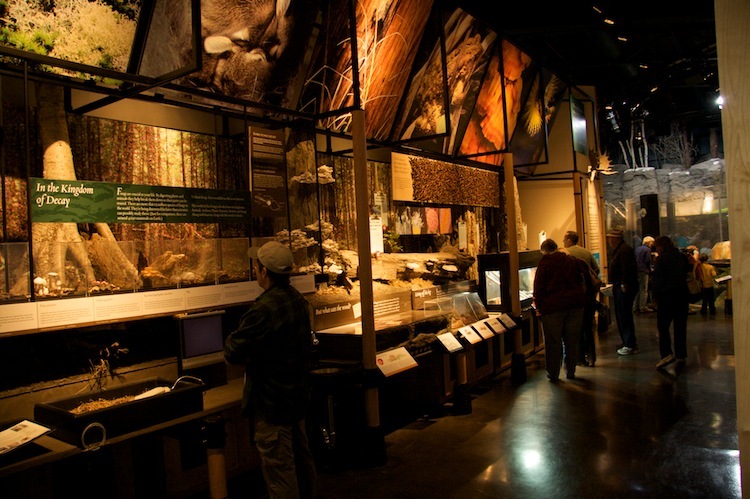 Check out The Wild Center website. Download the Summer 2010 Events Calendar. Head south on Route 30. Turn right on Route 3. 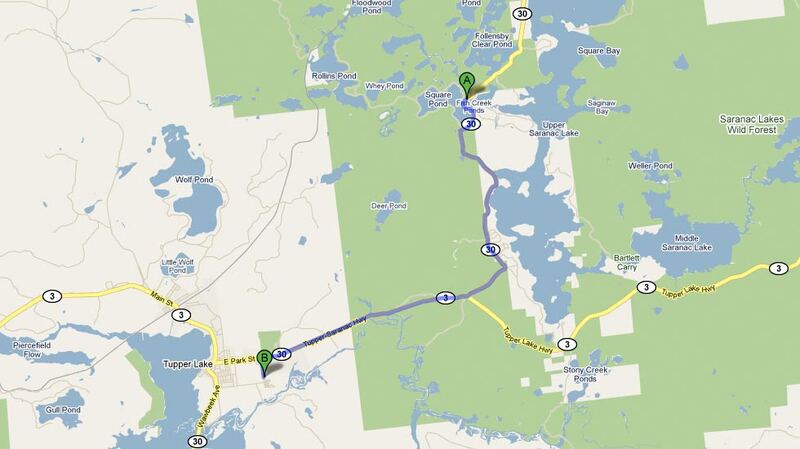 Follow the signs at the top of the hill as you approach Tupper Lake. Turn left at the first traffic light onto Hosley Avenue (opposite the big white Sunmount buildings). The museum entrance is 500 yards on your left.